MID TERRACE PROPERTY READY TO MOVE INTO! Comprising 2 double bedrooms, bathroom, lounge, kitchen and cellar. EPC rating: D. Tenants fees apply - please ask for details. On street parking. 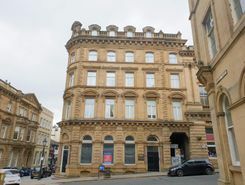 Hunters Huddersfield are pleased to offer this pleasant one bedroom apartment situated in the convenient location of Halifax Town Centre. 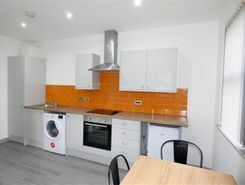 * ALL UTILITIES INCLUDED EXCEPT FOR COUNCIL TAX ** £100 INCENTIVE IF YOU SIGN UP WITHIN 24 HOURS OF VIEWING THE PROPERTY * * WE CAN ALSO OFFER A ZERO DEPOSIT OPTION *Hunters Huddersfield are pleased to bring to the market this brand new quality two bedroom apartment renovated throughout to the highest standard. 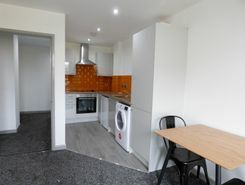 * ALL UTILITIES INCLUDED EXCEPT FOR COUNCIL TAX ** £100 INCENTIVE IF YOU SIGN UP WITHIN 24 HOURS OF VIEWING THE PROPERTY * * WE CAN ALSO OFFER A ZERO DEPOSIT OPTION *Hunters Huddersfield are pleased to bring to the market a number of brand new quality one bedroom apartments renovated throughout to the highest standard. Perfect starter rental. Modern studio flat, supplied with all appliances but unfurnished. Rent also includes wi-fi. Parking available in residents car park. Bond £325. 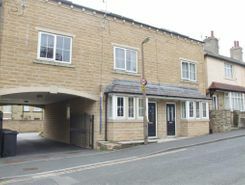 Located within approx 5-10 minute walk from the town centre and close to Calderdale college. Double glazing and electric heating. DSS considered with guarantor. Sorry no pets. 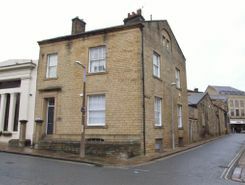 Property marketplace TheHouseShop.com have been helping consumers letting, renting, buying and selling houses online and have gathered detailed knowledge of the Elland in West Yorkshire property market allowing users to save money along the way. Property website TheHouseShop is unique in the UK property market as it is the only place that accepts listings from homeowners and professionals, so visitors will find properties available for sale and to rent from traditional estate agents, online-only agents, private landlords, private sellers and property developers. Whether you're a seller, a landlord, or an estate agent, you can use TheHouseShop property marketplace to advertise your properties to tens of thousands of buyers and tenants who visit the site each day looking for property in Elland in West Yorkshire and the surrounding areas. Private sellers and landlords can generate more interest from buyers and renters by using TheHouseShop's marketing boost options. Private landlords in Elland in West Yorkshire can use TheHouseShop to advertise their rental properties and find quality, reliable tenants for free. With a huge selection of private and professional rental properties available on TheHouseShop marketplace, renters can find flats, detached houses, terraced houses, apartments, bungalows, maisonettes and more. With a huge variety of affordable property to rent in some of Elland in West Yorkshire's most sought-after locations, TheHouseShop acts as a marketplace for renters where they can find rental homes that meet their budget and requirements. 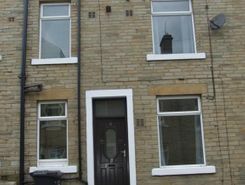 Tenants looking for rental property will find DSS property to rent direct from landlords, studio apartments, 2 bed flats to rent, 3 bedroom houses, maisonettes, private landlords accepting pets and a variety of other rental homes in Elland in West Yorkshire on TheHouseShop. Tenants will find a unique selection of property on TheHouseShop.com as many of our private landlords will not advertise their properties on other major property websites. In the competitive Elland in West Yorkshire rental market, tenants can save significant amounts on letting fees by choosing to rent direct from a private landlord. 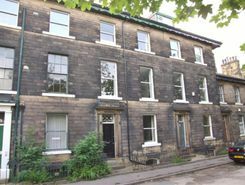 TheHouseShop's Flat Share section showcases some of the best affordable rooms to rent in Elland in West Yorkshire and the surrounding areas. 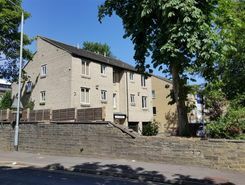 Tenants who have a minimal budget but still want to live in popular central Elland in West Yorkshire districts should explore our Flat Shares section, which offers an affordable alternative to renting a whole property. 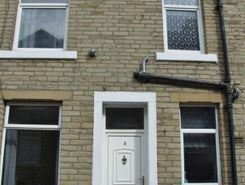 Securing a rental property in Elland in West Yorkshire can be difficult, but TheHouseShop can help tenants with our Guarantor Service providing a UK-based guarantor for any rental property in the UK. Landlords can use our free online rental calculator to determine the perfect price for their Elland in West Yorkshire rental property. Private landlords using TheHouseShop are given access to a number of landlord services including tenant referencing checks, rent collection, online tenancy agreements, landlord insurance and more - on top of advertising all their rental properties free of charge. Landlords can safeguard their property with tenant reference checks on TheHouseShop.com which include tenant credit score, rental history, background checks and more. Home hunters using TheHouseShop can create a free property alert to stay up to date with the latest new rental properties in Elland in West Yorkshire matching their needs with instant email updates. With a huge selection of cheap Buy To Let properties available on TheHouseShop, landlords and investors can buy their next investment property from developers, agents and private sellers across Elland in West Yorkshire.